Warninks advocaat, Calvados, triple sec, fresh lemon juice, topped with mulled Breton cider: this is the retro Snowball cocktail, reinvented. Even better served with a cinnamon and sugar rim… Think of it as flamed aples with a drizzle of single cream! Another take on a classic. 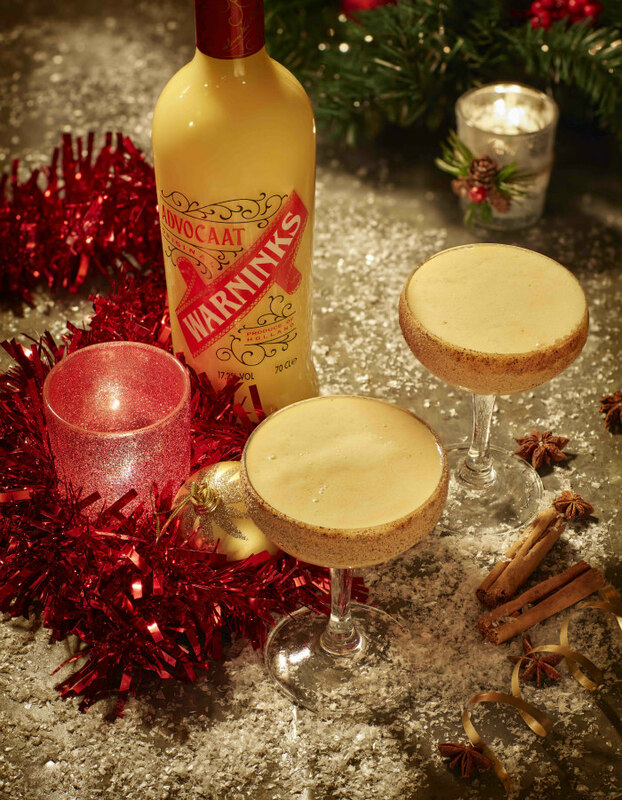 Take The Aviation, keep the gin and maraschino liqueur and add a little Warninks advocaat and top it with champagne and lemon juice. That bubbliness at the end of each sip… Perfect to celebrate the New Year in style. 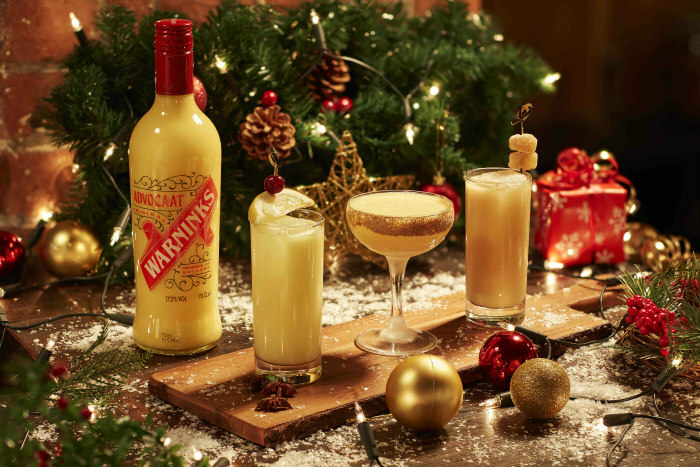 Try the cocktail creator on the brand’s website: simply enter 4 ingredients and it will come up with the perfect recipe for Warninks… or simply add some advocaat to a homemade hot chocolate to make it more decadent!